The origin of vastu shastra may have taken place well over thousands of years ago, not centuries back. It was written that in Ramayana Goddess Seetha forcibly sit in a garden where there are heavy Ashoka trees towards Northside. It's the reason Goddess Seetha was always wept. Where there are heavy items or North blocked then ladies get troubles. By knowing this sentence, we have to calculate that this Vastu science is used from the period of Ramayana. There is no exact period or traces to find out the day when this science has come into existence. As per our literature and known facts, this science was formed thousands of years back. The learned men on those days may not lived in Vastu houses themselves but they definitely dedicated their lives to the development of this science. Those days the system of following vastu shastra is a purely based on compilations of the greatest spiritual gurus or philosophical renowned wisdom people or Kings servant Mentor, a wise and trusted guide and adviser who practiced Vastu Shastra. If they did not live in Vastu homes and provided us a great vastu wisdom, how it is possible. Now many Vastu Experts are daily researching this science and provided many theories to the society, but they are pointing by many critics. Why this is happening in our society. What actually wrong here. Is it dishearten the existing vastu researchers?. Again repeating the same above sentence. Maharshis who wrote vastu wisdom to the society, they were always respected, they did not do any practicals on those days, but now many Vastu Specialists regularly research on many vastu effects and provided us their theory and wisdom. But they are not being honored properly. We should understand one thing here. Maharshis are seeing everything through wisdom eyes. They know everything just by close their eyes. Their knowledge will always unique. They took birth to discover these sciences to the society. We are all ordinary human beings. Definitely, our theories also honored in future. Time will come to prove us. Those days the system is purely different. Nowadays the entire construction was totally changed from mud to cement and concrete with steel structures. The principles of the Science laid down during those days were based purely on the Effect of sun-rays during different times of the day. The observations and corrections made were noted and concluded. 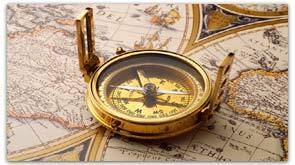 Vastu is a part of Vedas, which are believed to be four to five thousand years old. Through penance and meditation yogis of that period acquired answers believed to have come from the cosmic mind itself to the questions. Hence Vedas are heeded with divine knowledge. The art of Vasthu originates in the Stapatya Veda, a part of the Atharvana Veda(Vedic). It used to be a purely technical subject and it was only confined to architects (Sthapatis) and handed over to their heirs. The principles of Construction, architecture, sculpture etc., as enunciated in the epics and treatise on temple architecture, have been incorporated in the science of Vaastu. Its description is there in epics like Mathsya Purana, Skanda Purana, Agni Purana, Garuda Purana, and Vishnu Purana. There are some other ancient shastras that pass over the knowledge of vaastu shastra to next generation, like Vishvakarma Prakash, Samraangan Sutradhar, Kashyap Shilpa Shastra, Vrihad Sanhit (bruhat samhita), and Praman Manjare (Pramana Manjari). In the Mahabharata it is said a number of houses were built for the kings who were invited to the city Indraprastha for the Rajasuya Yagna of King Yuddhistira. Sage Vyasa says that these houses were as high as the peaks of Kailasa Mountains, perhaps meaning that they stood tall and majestic. The houses were free from obstructions, had compounds with high walls and their doors were of uniform height and inlaid with numerous metal ornaments. It is said that the site plan of Ayodhya, the city of Lord Rama was similar to the plan found in the great architectural text Manasara. References are also to be found in Buddhist literature, of buildings constructed on the basis of Vastu. They contain references to individual buildings. Lord Buddha is said to have delivered discourses on architecture and even told his disciples that supervising the construction of a building was one of the duties of the order. Mention is made of monasteries (Viharas) or temples, buildings, which are partly residential, and partly religious (Ardhayogas), residential storeyed buildings (Prasadas), multi-storeyed buildings (harmyas) and Guhas or residential buildings for middle-class people. The Vaasthu, with word meaning 'dwelling', is believed to be the residing places of god and man. According to its modern meaning it covers all buildings irrespective of their use like residences, Industries, Business establishments, lodges, hotels etc. It is based on the five basic and essential elements, such as Vaayu (air), Agni (fire), Jal (water), Bhumi (earth) and Aakasha (space), which are known as Panchabutas. Everything on earth is built from these Five Elements. Our scholar Ramakrishna says about Origin of Vastu Shastra: The Origin of Vastu shastra is difficult to be traced as it is lost in antiquity. The ancient Indian sages have divided the cosmic calendar into 4 broad stages, namely Kritha, Thretha, Dwapara, and Kaliyug. Man came on the scene perhaps in Threthayug and the origin of Vastu shastra is traced to this period only. During this period of development communication being what they were resulted from this knowledge getting restricted to ruling and elite class of this society only. Thus depriving the large social benefits of this science. In course of time, science, things have changed, democracy has replaced the autocratic Government and more than anything else individual freedom has become the supreme possession of man. Further, the present information explosion has had the beneficial efforts of making the science available to one and all. Vastu Shastra appears to be an obstruct science until we know actually. For practical application confirm the knowledge. The study of Vastu shastra starts with the knowledge of the basic five elements of creation, Space, Sun, Air, Water and Earth. If a plot or the construction thereon is in conformity with the aspects of this five elements, that is Vastu shastra science, the residents of the plot or the construction have an opportunity to live in conformity of the basic five elements and thus prosper. If, however, such is not the case, progress in the life of the residents is rather difficult. In fact, it is rather difficult to precisely define the term Vastu shastra. In my opinion, Vastu shastra means a construction method compatible with progress and happy prosecution applied or a construction that bestows peace of mind (to the residents). Material possession alone or not a substitute for the mental happiness for none is greater than one enjoying bliss. We are acutely aware the best of earthly possession alone cannot give us bliss for at best they can give you a momentary pleasure. However, when the life goes on in a positive manner it will lead to a blissful state of mind. Basically Vastu shastra ensues the prospects of prosecuting a happy and prosperous way of life as an example if a person desires to become an influential member of the society (may be a doctor, advocate, engineer or influential political leader or the like) and makes appropriate efforts in chosen field if his residence is Vastu shastra complaint, there are far greater chances of success. If a businessman invests a large sum in his enterprise, and his residence is Vastu shastra complaint, it helps him in preventing losses and promoting progress in his venture. A Vastu complaint home bestows on his residence and exalted life accompanied by name and fame in society and hence to mental happiness. He does not mean, however, that the residence will automatically become leaders of society etc without their own efforts in the chosen direction. This is an obstruct science drawn from the science of Metaphysics. I would urge people to recall what Einstein has said about Metaphysics. Quote: “what is Metaphysics today is physics tomorrow, in fact, there is a very thin difference between these two”. Some people, however, deny the science of Vastu shastra. For them I have a simple solution when you are building a house kindly do build the same as per Vastu shastra science, this does not cost extra and there is no loss to you either. On the other hand, it would (nay-may) have beneficial efforts. Is Street focus works as per Vasthu Shastra? How to find Kitchen importance in Vaasthu Shastra? Single bed or two beds, which one is good for couple? Looking to buy flat, who is the best vastu consultant in Delhi? Which facing is good while doing Pooja in homes or factories? Let me know who is the best vastu consultant in Andhra Pradesh? How to get good and attractive business through vastu for shops? Can I download Lord Ganesha Desktop computer Wallpapers here? How to create wealth through Vaastu, is it really helps creating wealth? How to find the directions, in which link can I get information on directions?